Over the past few years, the oil and gas industry has grown rapidly, especially in the area of hydraulic fracturing. This growth has created many attractive business opportunities for oilfield trucking companies. Ask any water hauler or hotshot driver about the oilfield and they will tell you that everything moves faster in this boom-or-bust industry – that is, everything but the payment cycles. Companies that serve oil rigs in the booming Permian Basin of West Texas, for example, can wait as long as 60 to 90 days to receive payment from their customers. Having to wait that length of time makes it incredibly difficult for businesses to build up the necessary cash flow to operate smoothly, particularly for start-up trucking fleets hauling water or sand to well sites. Without sufficient cash flow, it is difficult to take on new jobs, purchase equipment and fund growth. Large companies can often afford to wait longer for payment. Smaller and growing businesses, on the other hand, usually need to be paid sooner so they can meet their obligations. For this reason, many oilfield transportation companies are turning to invoice factoring. Invoice factoring for the oilfield trucking industry allows transportation companies to use their unpaid invoices to generate quick cash. Your business receives immediate payment for outstanding invoices, and the factoring company takes on the responsibility of invoicing your customer and collecting the amount due. The process begins with obtaining the factoring company’s approval for a particular customer who owes payment on an invoice. Once you have completed the job, you simply provide the factoring company with your invoice documents. You then receive a direct deposit from the invoice factoring company, typically somewhere between 80 and 95%. Ultimately, the advance rate is determined by the size of your transaction and your industry. The factoring company will then reach out and invoice your customer to obtain payment. Once your customer pays the invoice, the factor will send you the rest of the balance due, minus any factoring fees. If your business waits anywhere from 30 to 90 days for payment, invoice factoring can help you unlock cash that is trapped in your accounts receivable. Your business secures the money it needs to cover cash flow gaps and the financial backing to take on new loads or high-paying work. Factoring invoices provides the cash flow your business needs to meet its obligations (catch up on bills, cover fuel costs, purchase equipment, pay owner operators, etc.) and take on new customers without worrying about slow payments. Instead of holding onto outstanding freight bills, you can factor the invoices and quickly secure the cash you need to take on new loads or additional work. Essentially, you are using cash your business has already earned to help transport the next load. Without financing, it can take years just to build up a fleet of four or five trucks (even for oilfield pros). If your oilfield trucking company is ready to expand and add to its fleet, the cash factoring provides can help you grow at a much faster pace. One of the biggest advantages of using factoring is that it is more flexible than most forms of traditional financing. The amount of money your company can finance through factoring grows as your receivables grow; you are only limited by the number of eligible invoices you have to factor. This makes it the ideal solution for a growing trucking company with slow paying customers. As your business expands and builds a relationship with the invoice factoring company, your business’ credit lines increases. It can be difficult for small trucking companies to fund larger loads because they simply do not have the necessary cash flow. Investing in more efficient trucks also requires additional working capital. Using factoring ensures your company has cash on hand for various transportation costs in advance of receiving payment for projects. You will be able to haul larger, more lucrative loads, compete against bigger carriers and expand into new areas. Utilizing factoring can also help you grow your workforce. Factoring invoices provides access to the working capital you need to retain drivers and meet payroll on time. You will be able to offer benefits – a promising career, good pay and benefits and a positive work environment – that attract quality drivers, even in the midst of a truck driver shortage. In addition to helping you boost cash flow, the assistance a factoring company provides for other back-office tasks can significantly reduce the time, resources and manpower required for in-house accounts receivable tasks. From customer collections to free credit analysis, these services streamline the collections process for your company and your customers. Focus less on collections and more on running and expanding your business. Because oilfield factoring is an advance of money you have already earned and are waiting to be paid, your trucking company can avoid unnecessary debt. Factoring is not a loan; your company is simply selling its outstanding freight bills at a discount to secure immediate cash. Meanwhile, the factoring company waits for payment, so you don’t have to. Invoice factoring creates a steady, persistent stream of cash to meet daily needs for capital and money to grow into a strong, successful company – all without going through traditional lending or increasing debt. Whether your business involves water hauling, hot shot, belly dump, sand hauling or winch trucks, factoring can help your business take advantage of this once in a lifetime oil and gas boom. When it comes to oil and gas, no one knows the U.S. oilfield industry like Security Business Capital. Our invoice factoring services will provide the quick source of funding you need to pay bills on time, invest in additional equipment, hire more workers and increase the size of your business. We have built an experienced and dedicated team of individuals with years of expertise in providing flexible cash flow solutions that help businesses thrive. 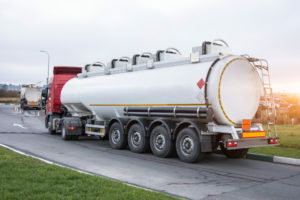 Water and sand haulers, hot shot, belly dump and winch trucks are just a few of the oilfield transportation companies that can use Security Business Capitals’s invoice factoring services to generate cash on hand. If you are interested in learning more about how our invoice factoring services work and how they can help your oilfield trucking company grow, get in touch with us today for a free quote and/or consultation.